e the crowds with this fantastic display jet! Raise the landing gear, and pull the most daring stunts ever! Or rebuild it into a powerful helicopter with spinning rotors or a super-fast speedboat…. Amaze the crowds with this fantastic display jet! Raise the landing gear, and pull the most daring stunts ever! Or rebuild it into a powerful helicopter with spinning rotors or a super-fast speedboat. 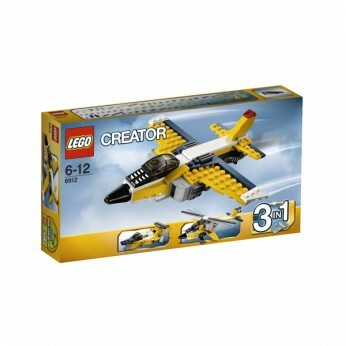 This toy costs approximately £9.99 (for the latest and best prices make sure you check our retailer list for the LEGO Creator Super Soarer 6912 above). In our review of LEGO Creator Super Soarer 6912 we classed it as being suitable for ages 6 years, 7 years, 8 years, 9 years, over 10 years but recommend you check the manufacturer specific advice before purchasing.